District 6 encompasses the largest land area in the Four Creeks area and includes both Cougar Mountain and Squak Mountain, the farthest west foothills of the Cascade mountain range in Washington. The district also includes the Hi Valley precinct which lies along the southern face of Squak Mountain. 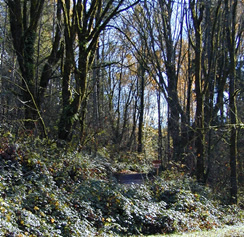 Cougar Mountain Park, which dominates the Cougar Mountain precince, covers more than 3,000 acres and is the largest park in the 20,000-acre King County Park System. For perspective, Marymoor Park near Redmond comes in at 640 acres. Located in the “Issaquah Alps,” Cougar Mountain Park is famous for its many trails – more than 36 miles of trails for hiking, and over 12 miles for equestrians. Squak Mountain State Park covers 2000-plus acres of forest on the south edge of Issaquah is great for hiking and wildlife watching. Because the donors of this park have stipulated that the park remain in its natural state with no development of any kind, this is an exceptionally pristine area. High Valley located on the southern slope of Squak Mountain is dominated by heavily forested areas with homes of varying size, design, and layout. It includes the developments of Hi Valley and Fir Crest. Many of the lots include pastureland and all homes in the Fir Crest area have covenants that they must be adjacent to equestrian horse trails.